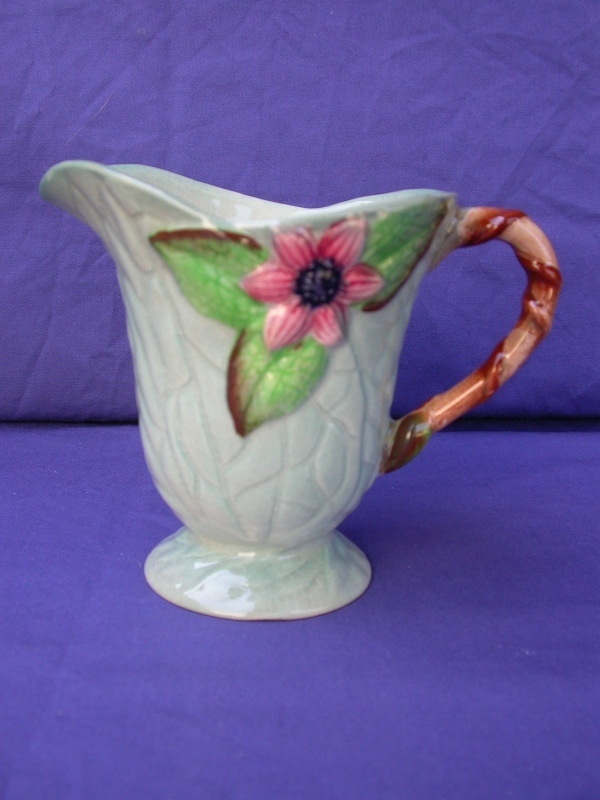 This is another of the beautiful designs that Carlton Ware produced in the fruit and floral embossed ranges.� It was introduced some time during the war period around 1942 to 1945. The colourways that this design was produced in were the usual green and yellow but with the addition of a blue colourway. The flowers on the design are unmistakably varieties of clematis with pretty pink and purple flower heads.� The flower heads and green leaves are attached to a brown woody stem, which is also replicated in the handles of some pieces giving the appearance of a climbing plant. 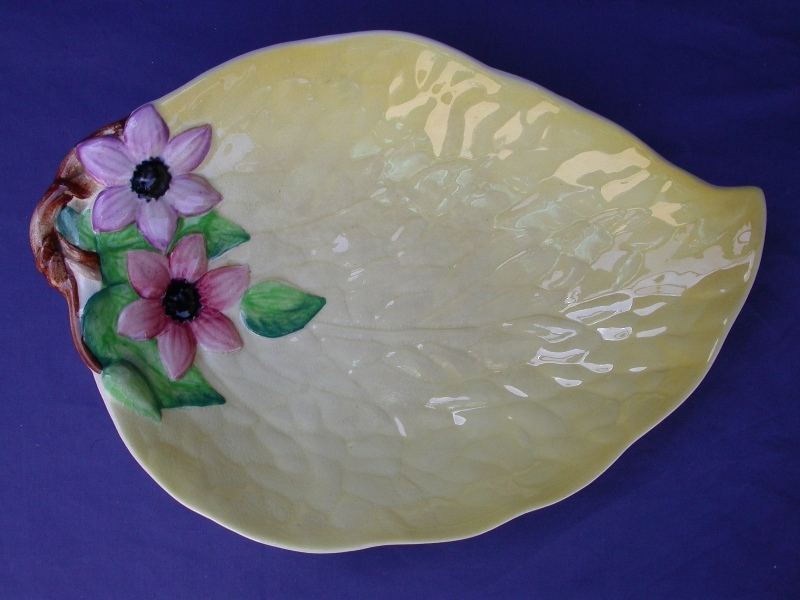 The leaf effect of veins is continued through into the embossing of the pattern and also dishes or trays complement the design by being shaped like a leaf as with many of the other floral and fruit embossed ranges.� In this design some of the larger plates and trays have leaves overlapping one another to great effect.